Soak the tamarind in 1 cup of warm water and remove the juice. Cut the green chillies and ginger into small pieces. Heat a pan with oil add mustard seeds, urad dhal and chana dhal and fry. When the dhals become red , add the chillies and ginger. When the chillies fried little add the tamarind water, powdered jaggery hing, salt, and turmeric. When the mixture is thick,cool and pour it into bottle. This is a pickle. You can keep this pickle more than a month. Eat with curd rice, chapathi and poori. Use jalapeno and make this pickle. Fry them well and add little more jaggery. Grind the coconut, red chili , jeera in a blender by adding half cup of water. Remove the skin of the chow chow and cut them into cubes. Boil them in 2 cups of water, add the chana dhal, turmeric and salt. 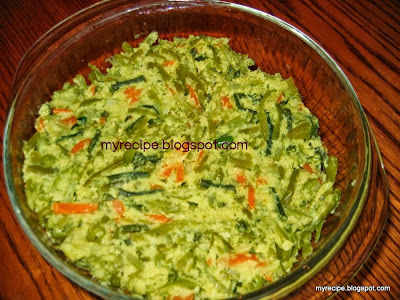 When the vegetable is cooked, add the ground coconut paste. Heat a pan with oil. Add mustard seeds, urad dhal and curry leaves. When dhal becomes red, add to the koottu.Remove this dish in to a serving bowl. 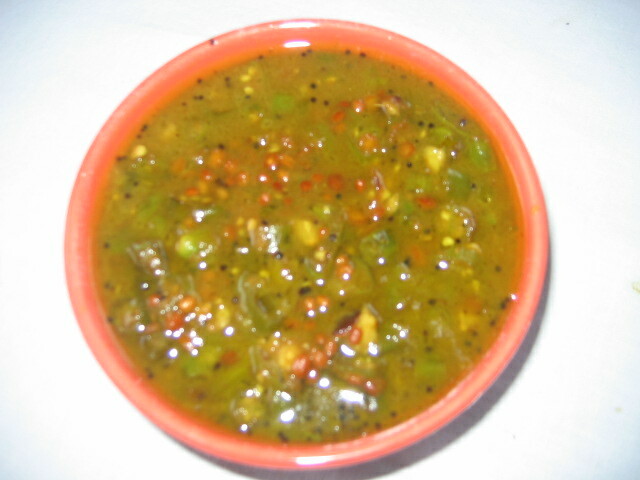 Serve this koottu with chapathi or rice. Vathal Kozhambu is favorite of all. 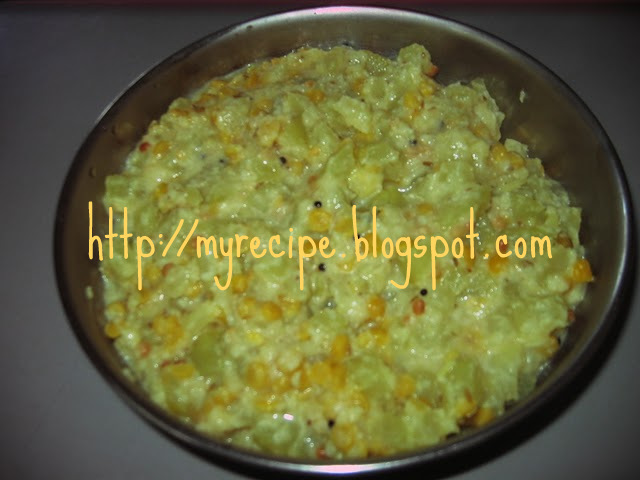 Every home has their own way to prepare this kozhambu. Vathal means sun dried vegetables like chundakai, Manathamkali. 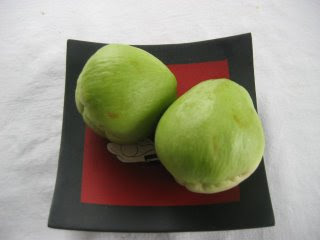 This kozhambu goes with rice, pappad and keerai masiyal. Heat a pan with oil . 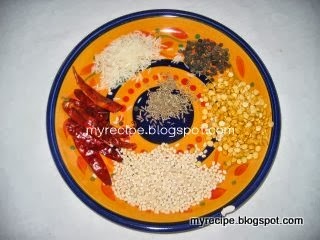 Add chundakai, mustard seeds, jeera, meth seeds, curry leaves. When the mustard splutters add tamarind juice, ground paste, turmeric, hing, salt. Boil this for 5 minutes. When it thickens, remove to a serving dish. Serve with til oil/ ghee, roasted pappads & plain white rice. 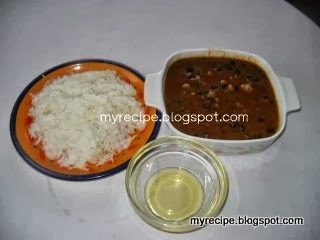 This vathal kozhambu is good for the indigestion. Cook the tur dhal in a cooker. Wash the keerai under running water and remove all the water. 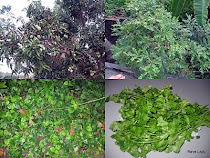 Cut the keerai into small pieces and cook it with 1 cup of water. Add turmeric powder. When the keerai is cooked, grind it coarsely in a blender and keep aside. Fry the chillies, urad dal and jeera in oil and grind in blender with grated coconut. 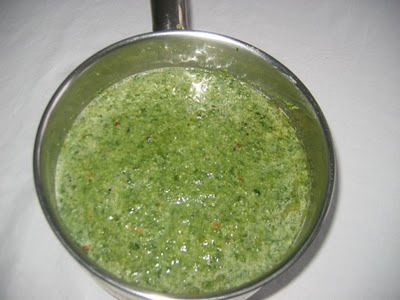 Boil ground spinach with the coconut mixture and the cooked dhal. Add salt to taste. Once the spinach is boiled remove from the fire and place in the serving dish. Heat a pan with oil. Add mustard seeds and urad dhal. When the mustard seeds splutter, add to the curry. Serve in a bowl . Eat with rice. Chop all the vegetable in medium sizes and extract tamarind juice . Boil half cup water and add all the vegetables, tamarind water, turmeric and salt . Fry the red chillies, coriander seeds, chana dhal and methi seeds in oil and grind in blender with coconut. When the vegetables are cooked, add the cooked tur dhal, hing and ground masala paste. Boil the sambar. Sprinkle curry leaves (you can add coriander leaves also). Heat a pan with oil and add mustard seeds. When it splutters, add it to the sambar.. 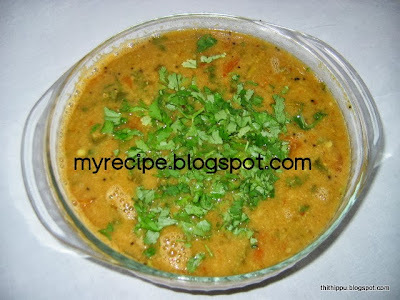 It is very tasty and side dish for idli, dosa and pongal. Remove the skin of beetroot and cut into small pieces. Heat a pan with oil. Add mustard, dhal and chili. When mustard splutters add the cut beetroot. Add turmeric and salt. Nicely mix them. 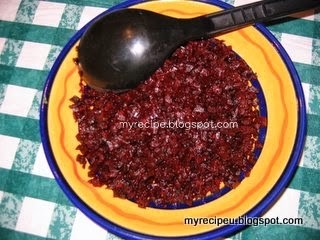 When the beetroot becomes soft, add the chili powder and grated coconut. Cut capsicum, potato and carrot in julienne (long) pieces to about 2". Boil all the vegetables(capsicum, potato, carrot, cut beans, drumstick)with little water. 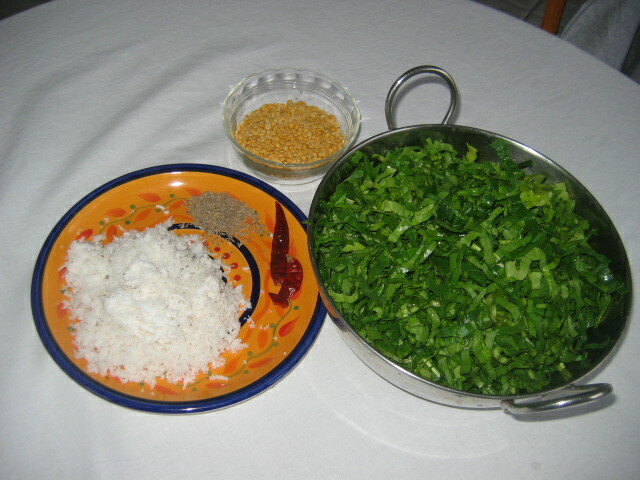 Grind the coconut and green chillies coarsely. When the vegetables are cooked, add the ground coconut and curd. Mix it well . It should be thick.